Houseboat INSIDER - best Articles & Tips of the Month! It's hard to believe that we're already at the end of July, and that August is just around the corner. Those hot humid summer days and nights just seem to blend together, and the fans or air conditioners can really help for a great nights sleep. How do you manage to stay cool during the summer, and what are your tips on staying cool during the day or for a good nights sleep? Do take a moment and tell us about it here, and share your tips with other boaters. * The 1st year after buying our own houseboat from Kim in Arizona. * Watching those great houseboat sunsets from Dean in Nashville. 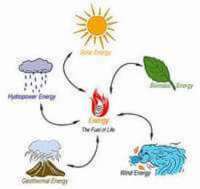 * Houseboat fuels, what are you filling up with? from Russell in Florida. Winners for the Discover Boating Contest are announced. The photo and video contest is now over, and the winners & finalists have been announced. Do have a look at the Top-10 entries as there are some very well done and touching stories. Get some extra spending money, by using the free Classifieds! Are you finding the storage areas on your houseboat getting full? 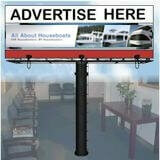 Use our free Classifieds section to sell your space gathering odds & ends, and help other houseboaters who need them. Want to be the best First Mate? Learn the Tips and Secrets! Every captain wants every outing to go smoothly, and needs teamwork, and the First Mate is a vital part of the team. Houseboating can be an intimidating experience, especially when things go wrong, however having the right skills and knowledge makes for great trips and adventures. That's why I highly recommend a great book or eBook, from Brenda who has spent her lifetime being Doug's First Mate and she really knows the problems and issues. The tip filled book FIRST MATE 101, is truly the easiest and quickest way to become the envy of all your friends, neighbors, and other captains around. If you want to gain the confidence and learn the tips and tricks to help you become the best, I highly recommend Brenda's book, as it's filled with hundreds of easy to apply skills and techniques. Three Buoys Houseboats - buy my custom designed 3 bouys houseboat back. When the new owners of my custom designed Three Buoys houseboat put her up For Sale, I just knew that I had to buy her back. I am so glad that I did. 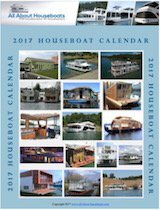 Hybrid Houseboats - any electric, solar, or paddle wheel propulsion house boat? Houseboat Props - 3 or 4 blade propellers better for control, docking, handling on house boats? 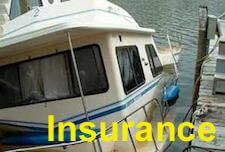 Houseboats and Electrical Storms - are lightning strikes safe on a house boat? Houseboat Sunsets - waiting for the next great sunset on house boats. 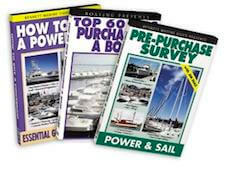 Houseboat Sales Brochures - original photos, manuals, brochures available? 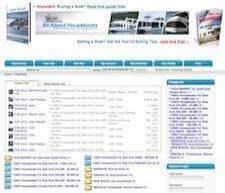 Houseboat Transport Company - any shipping movers for house boats?